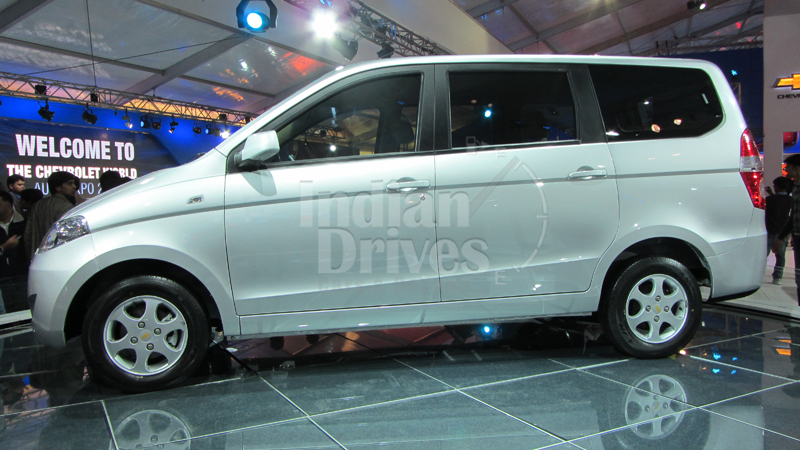 Chevrolet showcased their new un-named MPV at the 2012 Auto Expo in Delhi. The seven-seater MPV was largely based on the Wuling CN-100 produced by GM’s Chinese alliance, SIAC (Shanghai Automotive Industry Corporation). 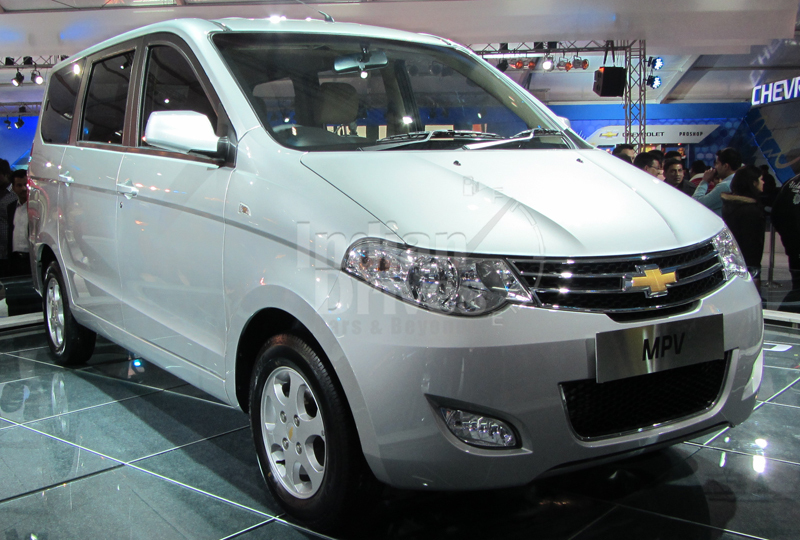 There is buzz in the auto industry with Chevrolet launching the Tavera Neo this month, followed by announcement of the Sail twins recently, and now they have the ‘Enjoy’ MPV in the 2012 lineup. According to the Managing Director and President of General Motors India, Mr. Lowell C. Paddock, Chevrolet Enjoy will be the second model (Sail being first) to roll out from the GM-SAIC joint venture and it is expected to hit the market by end of the current calendar. GM will platform the Enjoy MPV at its Halol plant, while the engine will be developed at the Talegaon plant. Under the hood is a 1.4-litre petrol engine that churns out 94 bhp max power. GM also developed a 1.3-litre Mulitjet diesel engine known as the JTD engine, in collaboration with Fiat. This could be a possible power plant in the diesel trim. A beat down three-cylinder version of this engine is sported in the Beat diesel. We expect GM to turbocharge the diesel motor to give a match to Mahindra Xylo, Toyota Innova, Tata Aria and Maruti Suzuki Ertiga. However, if it is positioned below the Ertiga, then we could be seeing a smaller 75 bhp engine running the Chevrolet Enjoy MPV. Chevrolet MPV. However, the power plant could be a major factor in deciding its price and there is a possibility that Chevrolet Enjoy MPV may be positioned below the Ertiga.